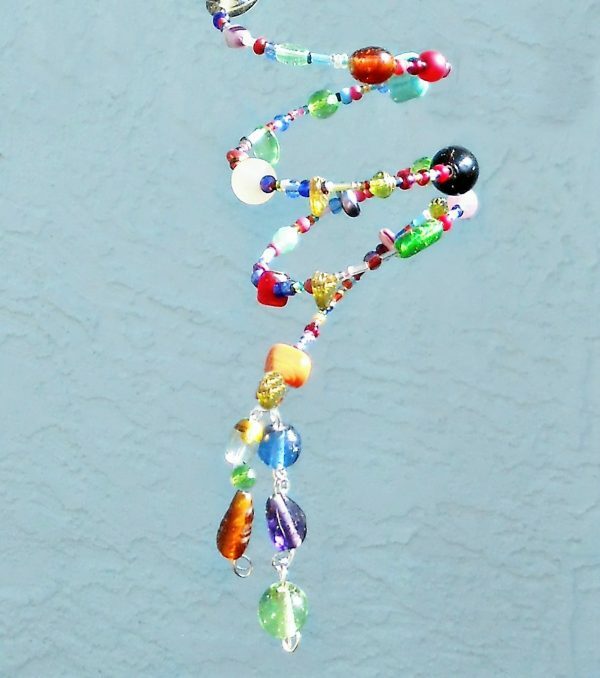 We personally handcrafted every rainbow spiral suncatcher windchime. Our supplies are handpicked from the leading sources on earth. 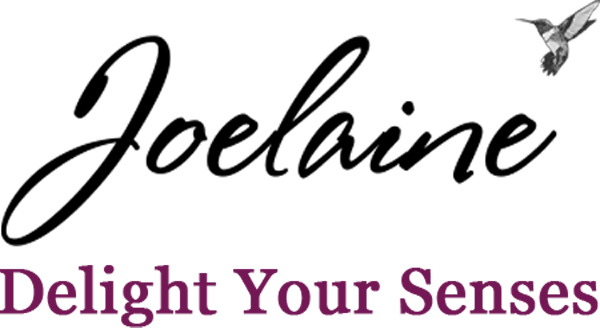 Exclusively designed with with highest quality glass and crystal. Exclusively designed with unparalleled quality the colorful bouncy rainbow spiral suncatcher windchime features designer and handmade glass beads and Czech crystals so that your window or garden can catch the sun in a sparkling cascade of color. The brilliance of our sun catchers will add a touch of sparkle to your home or garden. 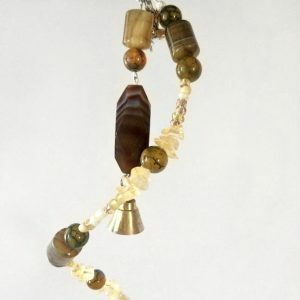 You can choose either a glass bead tassel or a 1.5-2-inch brass bell on the bottom of the spiral suncatcher windchime. The mobiles pictured are just representative of our product. We cannot guarantee any specific bead or bell. 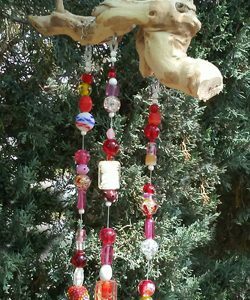 The spiral sun catcher wind chimes can be hung inside as window decor or outside for garden decor, yard art or patio decor. If hung outside please bring inside during severe weather. Please hang out of reach of children and pets. SIZE – Approximately 26-27 inches long and 3 inches wide. The rainbow spiral suncatcher windchime makes a great gift for teachers, babysitters, gift exchanges, and as a stocking stuffer. They are not toys, however, and we do not recommend the spiral suncatchers for children under 13. 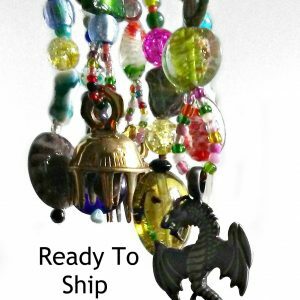 See our other suncatchers and windchimes here.